Vice President, Yudala, Prince Nnamdi Ekeh, recently made a daring challenge to other e-commerce online and offline retail shops when he declared that Yudala would most likely be the first e-commerce to make sustainable profit in Nigeria. He said that despite the well-known struggles of other established players in the sector, Yudala has continued to post impressive results, a trend that has seen optimism of the company soon turning the corner of profitability. He said: “We are aware of the challenges faced by players in the e-commerce sector. Research at our disposal indicates that less than 30 per cent of African e-commerce startups are profitable, with many of them hampered by lack of trust, shortage of financing, logistical difficulties and the largely-traditional approach to shopping still in play among these economies. “Here in Nigeria, the case is hardly different as we have seen many e-commerce start-ups exit the scene prematurely while the older ones have also consistently posted huge losses. “However, the story is different at Yudala. 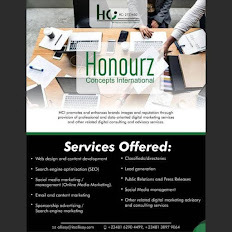 This is down mainly to our sound business model and approach. Indeed, while our investors expect us to deliver profits by 2022, our ambition is to surprise them by achieving this milestone earlier,” he noted. Ekeh said said apart from Yudala’s ambitious retail roll-out strategy and network of physical stores which has helped the company reach many unserved and under-served Nigerian populace, Yudala has also been bold in making a statement of intent with its emphasis on genuine products and best prices. For him, that policy in alignment with a number of landmark innovations and eye-catching strategies has endeared the company to an ever-growing audience. “In addition to pulling off the first recorded instance of a product delivery via drone in 2015 – a feat which captured the imagination of the e-commerce world – Yudala has succeeded in building up a steadily growing database of loyal customers, many of whom have come to rely on the company for the assurance of genuine products and unmatched best prices in the market-place which it stands for”. Earlier in 2017, the company acquired Yes Mobile, a cosmopolitan high-value retail outfit with a multiplicity of stores in Lagos in what industry watchers described as a strategic duplex acquisition; one which went a long way in showing the level of ambition and determination to lead in the retail space currently driving the company. 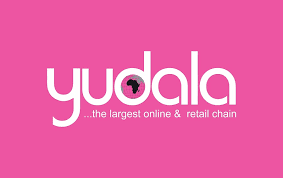 Launched a little over two years ago, Yudala has held its own in Nigeria’s keenly-competitive e-commerce sector, with the company’s futuristic fusion of an online platform with a chain of brick-and-mortar stores located nationwide.